This sweet potato casserole is the perfect size for a family of four. The sweet potatoes are cooked and then mashed with brown sugar, honey, and butter. The mashed sweet potatoes are topped with marshmallows and baked to perfection. Feel free to add more marshmallows to the topping. Peel the sweet potatoes and slice them into 1-inch rounds. Place the sweet potatoes in a medium saucepan and cover with water; bring to a boil. Cover the pan and reduce the heat to medium-low. Continue cooking for about 20 to 25 minutes, or until very tender. Drain well. Butter a 1-quart baking dish. 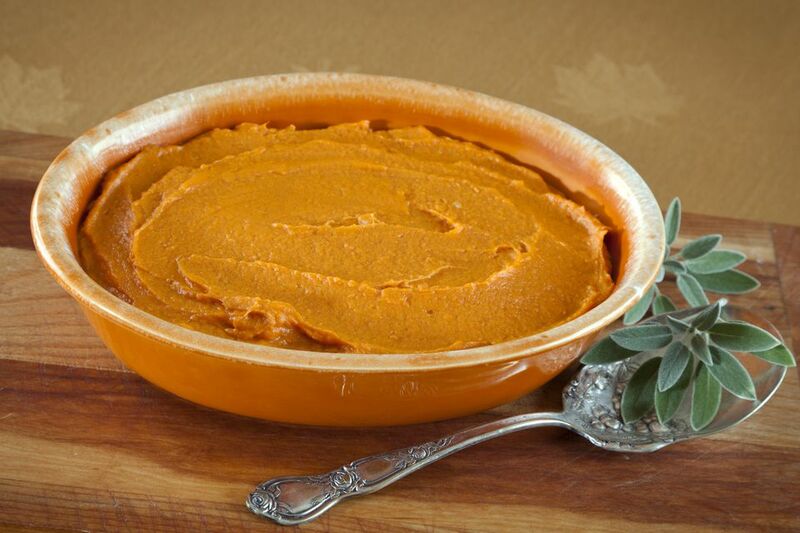 In a large bowl, mash the warm sweet potatoes. Measure about 2 cups of mashed sweet potatoes and combine them in a bowl with the salt, brown sugar, honey, butter, and milk. Mix well. Spoon the sweet potatoes into the prepared baking dish and then sprinkle the marshmallows over the top. Bake at 350 F for about 25 minutes, or until marshmallows are lightly browned. Scale the recipe up for a larger family or holiday meal. If you don't have honey, use maple syrup or some extra brown sugar.